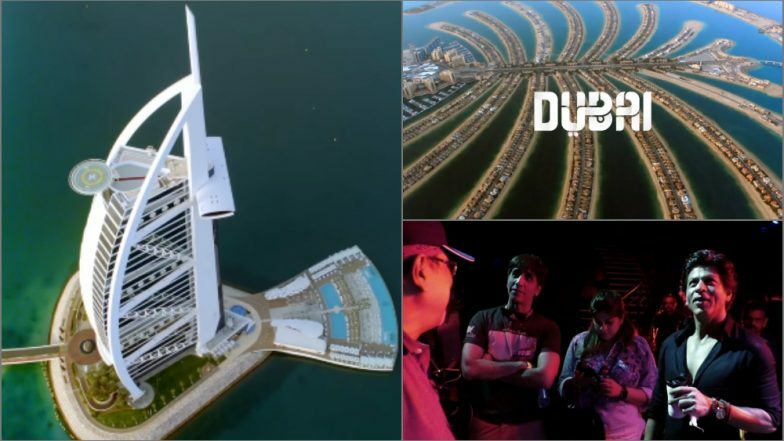 Dubai, April 15: A behind-the-scenes video from a promotional campaign of Dubai Tourism gives an interesting sneak-peak into superstar Shah Rukh Khan's adventure into the city. The 53-year-old superstar has been featuring in a series of videos that are part of Dubai Tourism's #BeMyGuest campaign. Shah Rukh Khan Flirts with Gwyneth Paltrow in This Video and Honestly, We Don’t Even Care about Tony Stark Anymore! The two-minute video starts with the picturesque locales of Dubai and Shah Rukh running. The maker of the campaign is heard saying that they took a "movie concept and made it into short movies... In six small videos." Shah Rukh Khan Is Back in Dubai To Uncover A Secret! Watch Videos. He said they had a great time working with Shah Rukh, who welcomed the ideas and suggestions of the team, and was very spontaneous while filming. Check out all the episodes of Shah Rukh's Dubai Tourism ad campaign. Episode 3 – The First Coin?